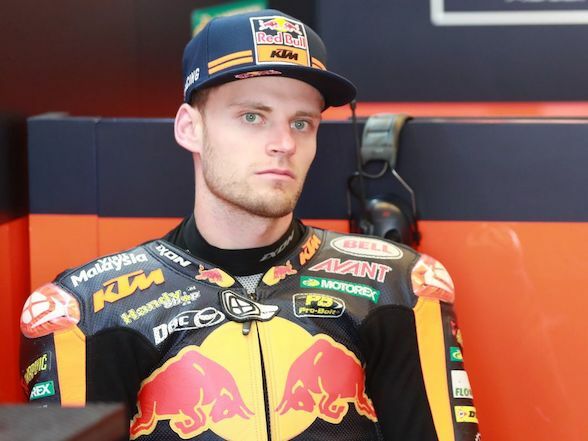 Yesterday, when we reported on Brad Binder’s sensational pole position in the Moto2 class at Aragon aboard his Red Bull Ajo KTM, we also reported that Binder is traditionally a terrible qualifier, and that a pole position is bad news for his opponents. 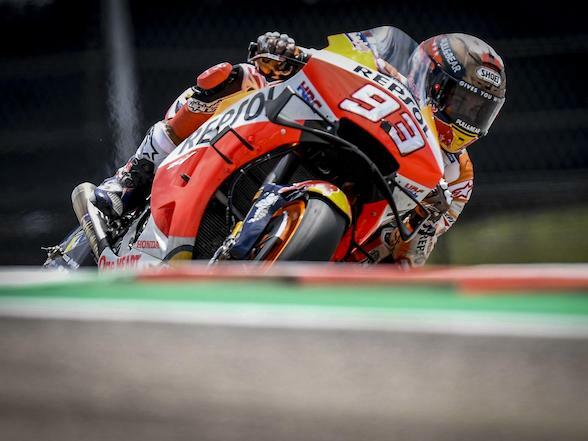 This pace comes on the back of a successful Valencia test where the team found the South African a new setup that he was extremely happy with. 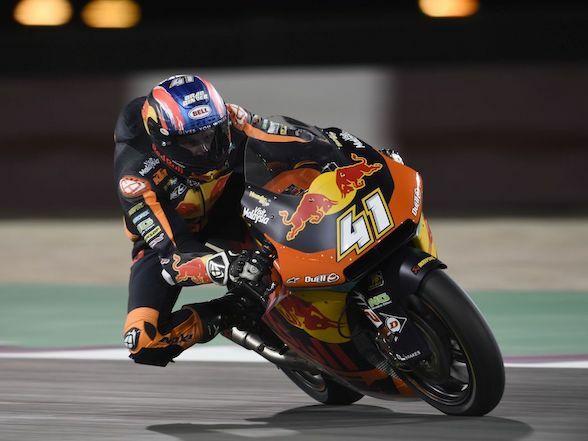 The race was a tense affair, with Binder taking the lead at the beginning, only to lose it to a charging Alex Marques who was keen to impress in front of his home crowd. 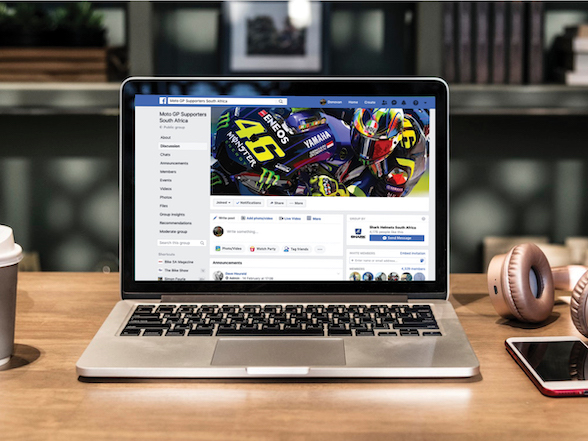 To make matters worse, behind Binder were the charging duo of championship leader Pecco Bagnaia and Lorenzo Baldassarri, who is Binder’s main rival in the championship. 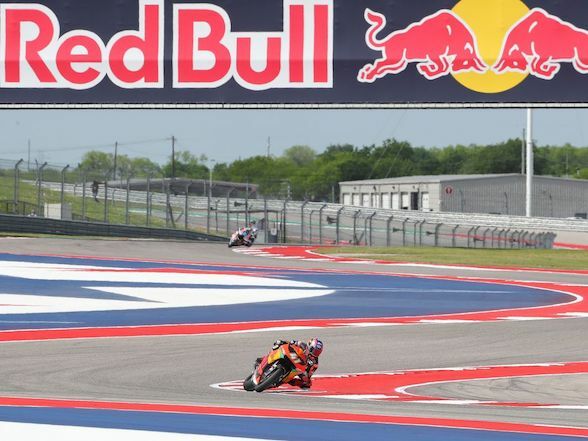 This culminated is a high speed collision between Binder and Bagnaia that saw Binder’s rear-facing camera knocked off. 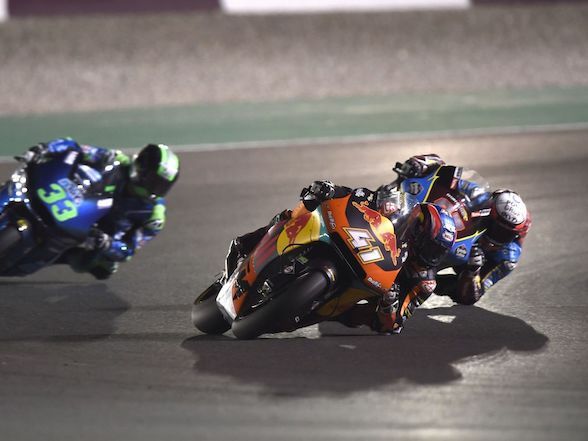 After the pace settled, somewhere around half race distance, Binder showed signs of aggression when he shadowed the race leader, attempting a few daring overtaking manoeuvres before taking the race lead with seven laps to go. 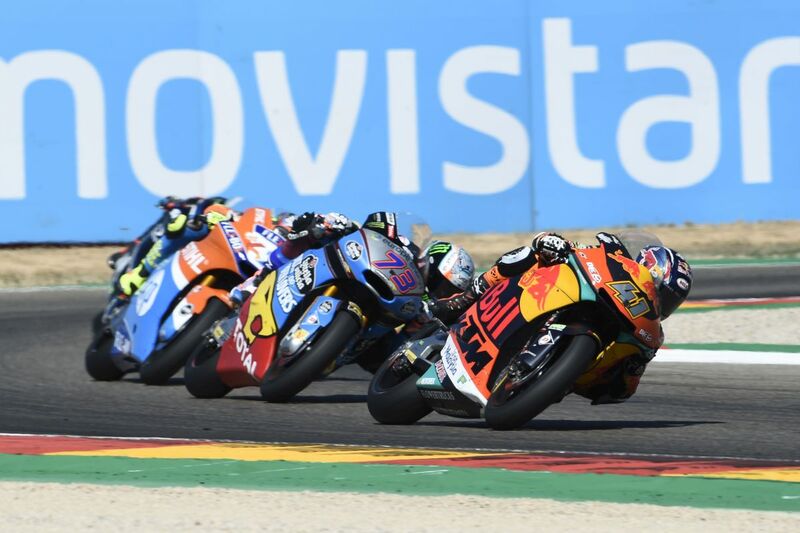 He then pulled a one second gap, and despite spirited attempts to close by Bagnaia, Binder held on to that lead until the finish, 1.5 sec ahead. 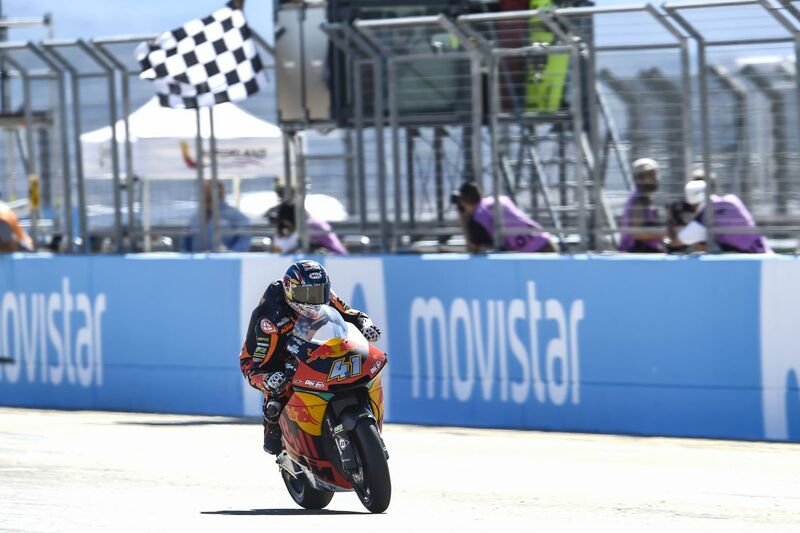 This is a special weekend for Binder, as Aragon is the place he security the 2016 Moto3 Championship. “It’s been an incredible weekend. Yesterday we got an unexpected pole and I was very happy to have qualified at the head of the grid. That gave me a lot of confidence for the race. 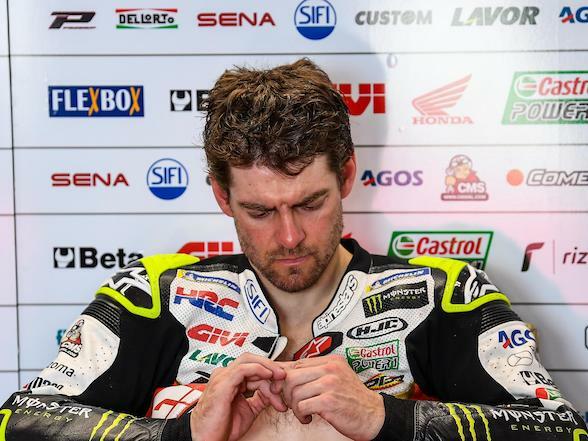 Sunday did not start very well, because in the warmup I did not feel completely comfortable and had a few problems. 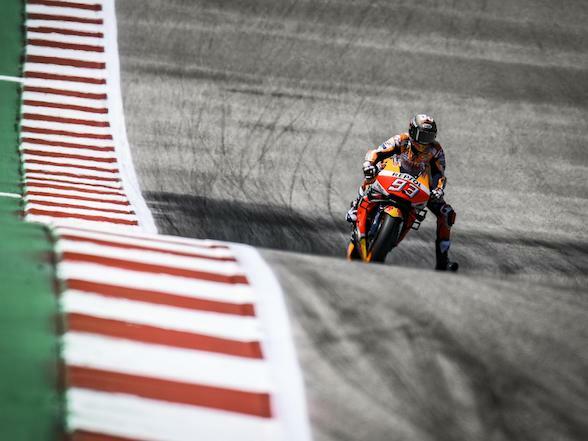 However, thanks to a series of small changes that my team made for the race, everything worked normally – or even better. 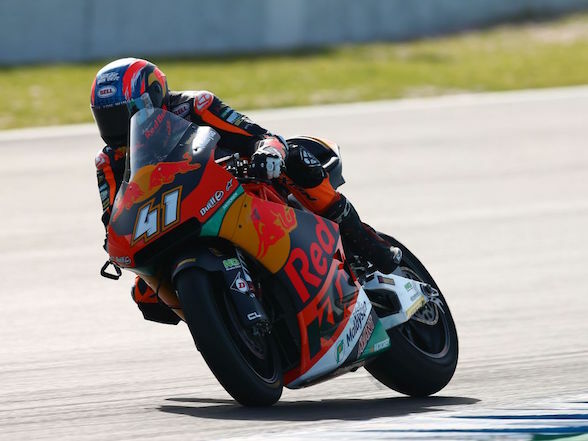 With Baldassarri finishing third in the race, Binder extends his third place in the Moto2 championship. 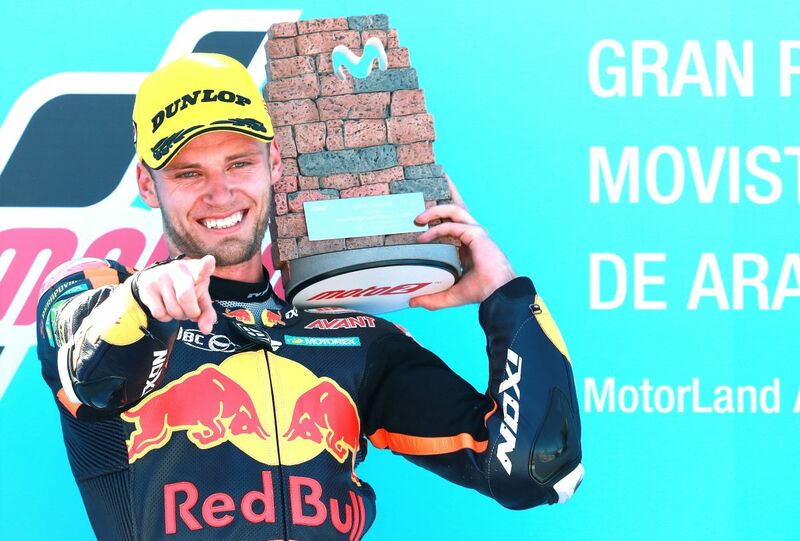 Previous Post Brad Binder on his pole: "At this Grand Prix we are stronger than we have been all season"